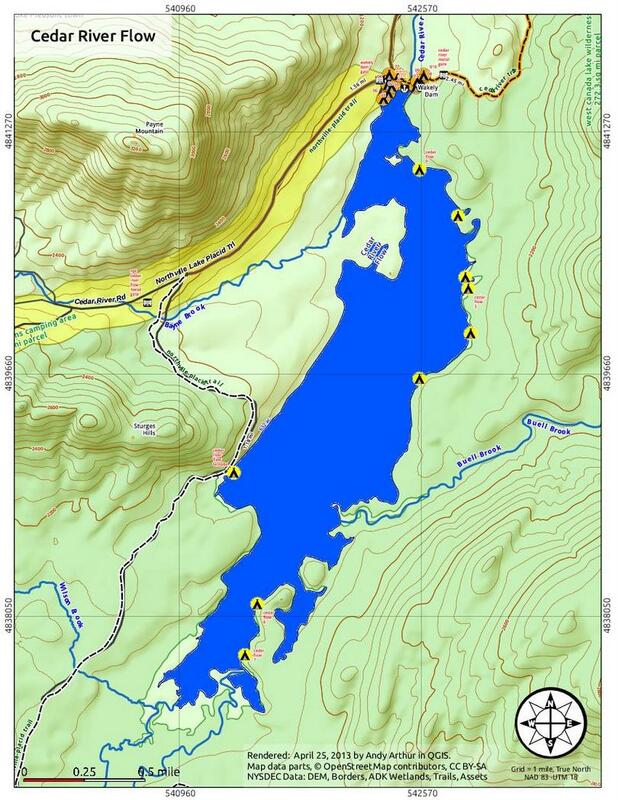 Cedar River Flow is a three-mile-long impoundment in the central Adirondacks. Matt and his friend Vinnie met me in Indian Lake Village at 9am. We drove west on NY 28. A few miles outside town, just after crossing the Cedar River, we turned left onto Cedar River Road. We drove 12.3 miles to a large field near Wakely Dam and the put-in. We were on the water at 10am. We saw a bald eagle, Bitterns and a painted turtle. 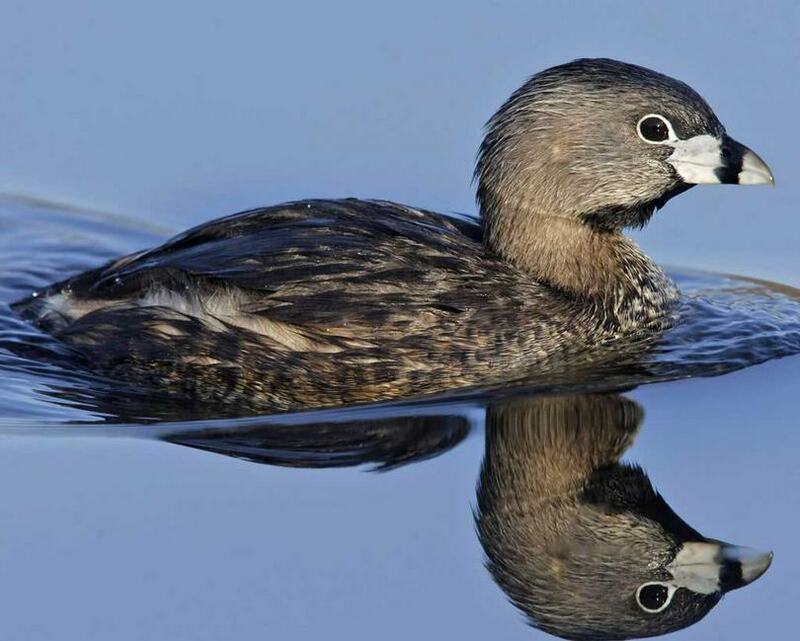 We heard an unusual bird (for us) which another canoeist identified as a Pie Billed Grebe. Grebes are small brown birds have unusually thick bills that turn silver and black in summer. They inhabit sluggish rivers, freshwater marshes, lakes, and estuaries. They use their chunky bills to kill and eat large crustaceans along with a great variety of fish, amphibians, insects, and other invertebrates. Rarely seen in flight and often hidden amid vegetation, Pied-billed Grebes announce their presence with loud, far-reaching calls. We never saw one, but heard it’s calls repeatedly – a bizarre whinnying, gobbling, cooing noise. There are several mountains just east of the flow – Blue Ridge, Cellar, Lewey, Snowy, Buell and Panther and to the northwest lies 3,760-foot Wakely Mountain. The weather was perfect with few clouds and temperatures in the low 80s with minimal wind. 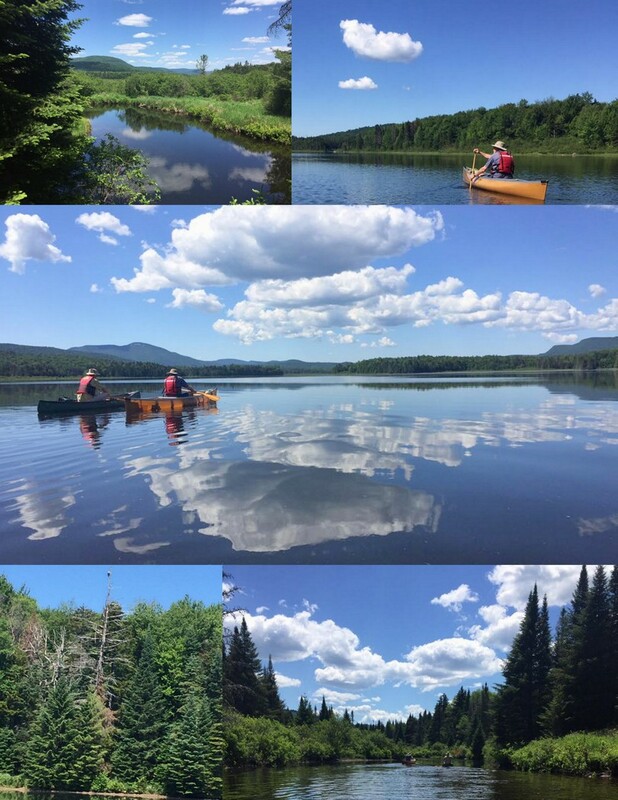 We paddled up the flow to the Cedar River and up the Cedar River to the lean-to on the Northville-Lake Placid trail. We found the lean-to occupied and a father and son fishing so we turned around at that point. We took two breaks to stretch our legs and eat lunch. We returned to our cars without incident by 2:30pm.